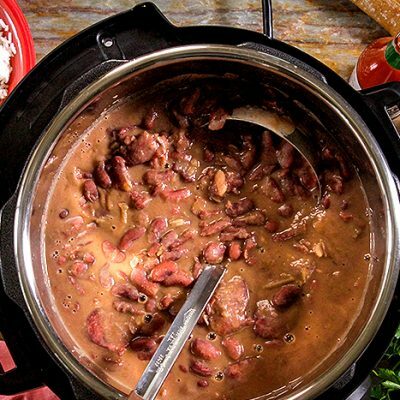 Everybody loves a pot of red beans slow simmered on the stove, but sometimes modern life just doesn’t allow for enough time to do it the traditional way – which is when a pressure cooker can save the day. 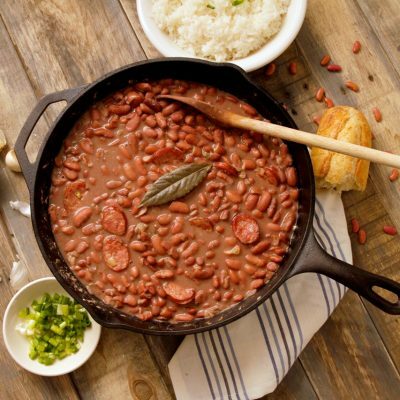 Due to the intense heat and pressure, your red beans will come out as tender and flavorful as if you had spent all day cooking them – and allow you to reduce your cooking time to as little as 30 minutes! Pressure cookers have been around for decades, but modern technology has made them faster and safer than ever before. With today’s cookers, you can create a nutritious meal from scratch in under half an hour, in many cases. 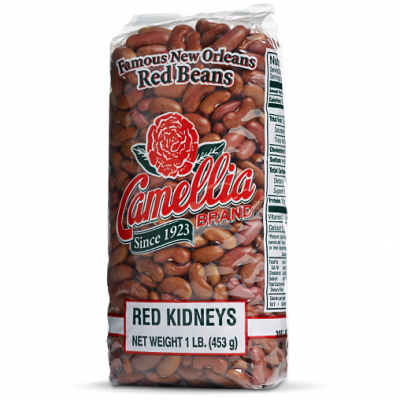 Dry beans are particularly well suited to the pressure cooker. 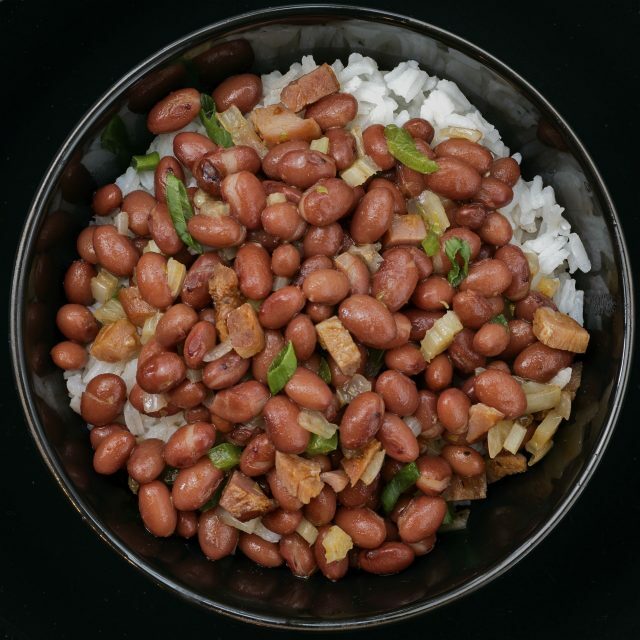 Typically requiring a low and slow cooking method of several hours, cooking beans in a pressure cooker reduces the time in the kitchen – including active prep and passive cooking – to less than 30 minutes. Pressure cookers employ water or another cooking liquid to cook food quickly in a sealed vessel. Pressure is created initially by boiling the liquid inside the closed pressure cooker. The trapped steam then increases the internal pressure and temperature. Foods cook quickly, saving both time and energy. Not your mother’s model – modern pressure cookers are much safer and easy to use. Many families have horror stories associated with early pressure cookers, which were equipped with only a primary safety valve and risked explosion from food blocking the release valve. Stories of the kitchen ceiling taking a bath in the hot juice of a Sunday pot roast were all too common. Thankfully, modern-day pressure cookers – whether stovetop or electric – typically have two or three redundant safety valves and additional safety features, such as an interlock lid that prevents the user from opening the cooker when the internal pressure exceeds atmospheric pressure. This prevents accidents from a sudden release of hot liquid, steam, and food. If safety mechanisms are not correctly in place, modern cookers will not pressurize the contents. However, there are a few rules one should always follow, whether working with a stovetop pressure cooker or an electric countertop appliance. 1. Pressure cookers should be operated only after reading the instruction manual to ensure correct usage. 2. 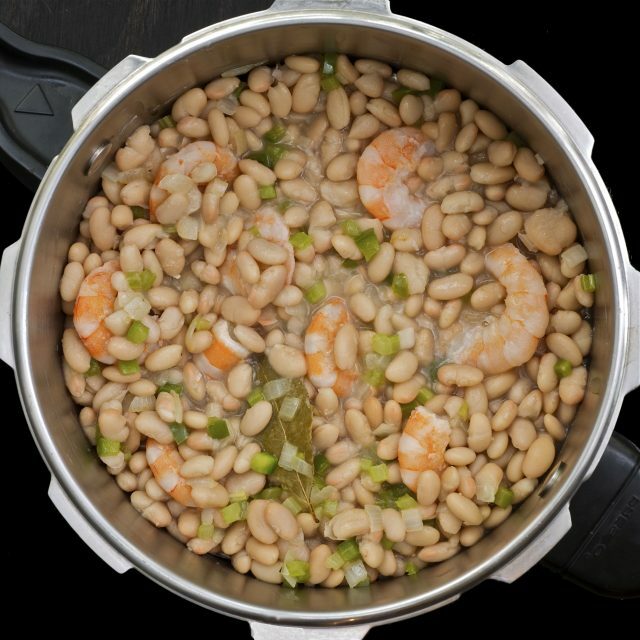 A pressure cooker should never be filled more than two-thirds full with solid food, or half full for liquids and foods such as beans that foam and froth. 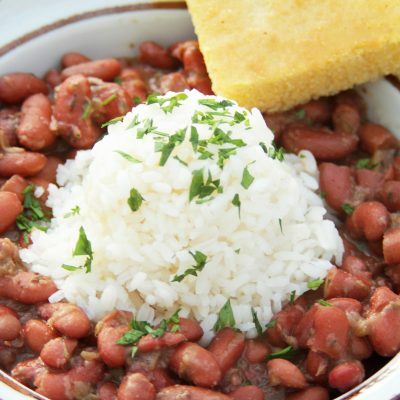 Add enough water, or flavoring liquid, to cover beans by up to 2 inches, but do not exceed the half fill rule. 3. 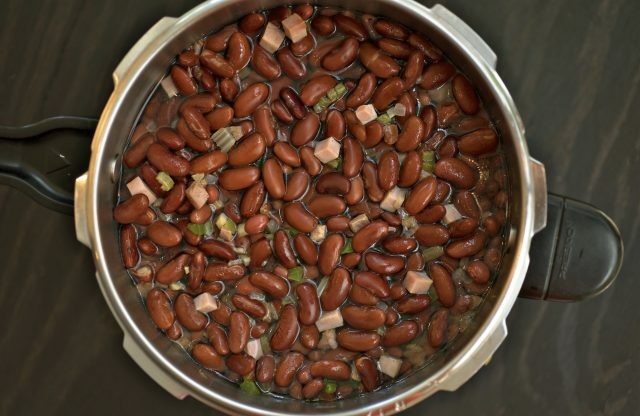 Beans should be soaked at least 4 hours before cooking. Rinse the soaked beans before pressure cooking. 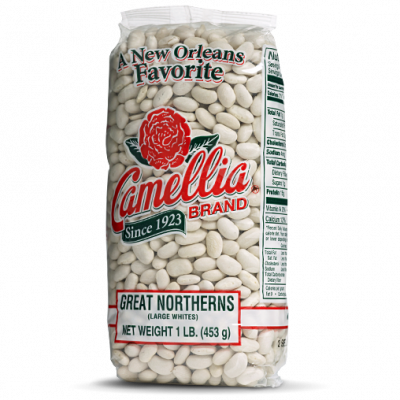 If you forget to soak beans in advance, use the quick-soak method: Cover washed and sorted beans with water in a saucepan and bring to a boil. Boil 3 minutes. Turn off heat and let sit for 1 hour before proceeding with the recipe. 4. Do not skip the oil! 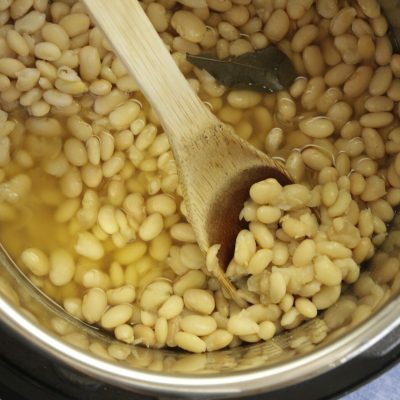 The oil prevents the beans from foaming and clogging the steam vent of the pressure cooker. 5. Taste and adjust seasoning, adding salt, pickled condiments, and acidic ingredients such as tomato-based products, citrus, or vinegars, after the beans are cooked. 6. If working with a stovetop cooker, water may be run over the pressure cooker (use heavy oven mitts to lift the cooker into the sink) to aid in dropping the temperature and reducing the pressure within the cooker. Run cold tap water slowly over the edge of the pressure cooker lid, being careful to avoid the steam vent or any other valves or outlets. (Never immerse the pressure cooker under water.) This cooling method is best for foods with short cooking times, such as beans. It takes about 20 seconds for the cooker to cool down enough to lower the pressure so that it can be safely opened. This method is not suitable for electric pressure cookers, which should never be placed in water.